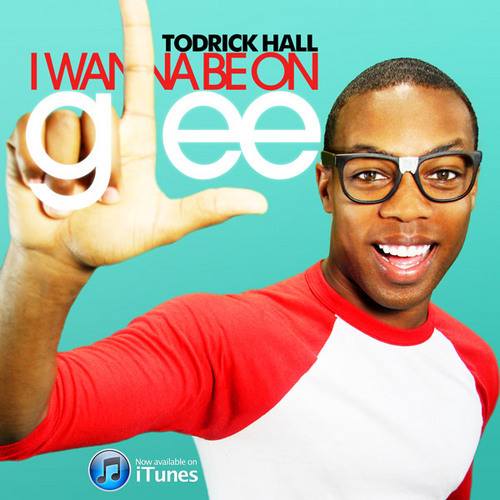 Todrick Hall was on American Idol last season. He didn't make the top 12, but I absolutely wanted him to. Now he's got a YouTube channel that you have to check out. Seriously, if you don't you're missing out BIG TIME. My favorite video on the entire channel is hands down his "It Gets Better" song and video. A lot of his videos are funny, but this campaign has always touched me, and this has got to be the best video I've seen for it. I mean... Just.. Wow. Powerful, and amazing, perfect lyrics. I want to play it on my show every day. I need to find a way to make it possible. Where can I vote to get him on?! I totally hope it works out for him! And beyond THAT, he likes doing random acts of singing in public places. You all know how I feel about this kind of stuff- it's AWESOME. He also picked one of my favorite places to do it, gathered some friends and cheerleaders, and put on a show I'm jealous I missed out on! He's from Arlington, TX, which is by Dallas, but go figure- Now he's in LA. Maybe if he ever meandered home, we could work together a little, eh? !